Just roasted and bagged… Ethiopia Guji Shakiso. 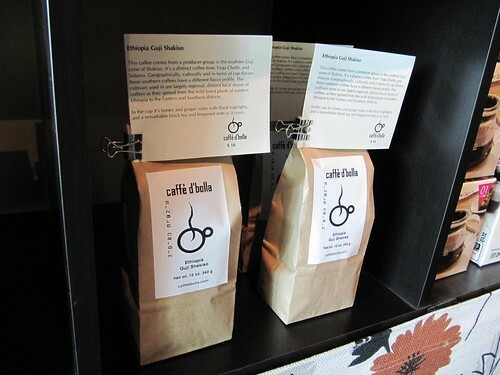 This coffee comes from a producer group in the southern Guji zone of Shakiso. It’s a distinct coffee from Yirga Cheffe, and Sidamo. Geographically, culturally and in terms of cup flavors, these southern coffees have a different flavor profile. The cultivars used are largely regional, distinct local strains of coffees as they spread from the wild forest plants of western Ethiopia to the eastern and Southern districts. In the cup it’s honey and ginger notes with floral highlights, and a remarkable black tea and bergamot note as it cools.